The H-1B visa, popular among Indian IT companies and professionals, is a non-immigrant visa that allows US companies to employ foreign workers in speciality occupations that require theoretical or technical expertise. Every year, US-based tech companies hire thousands of employees from countries like India and China. 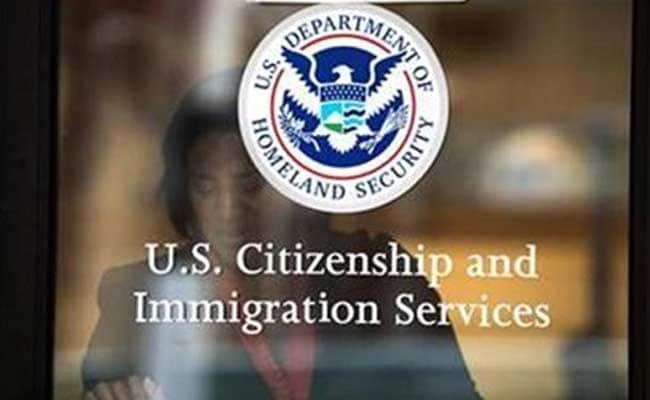 There has been a "dramatic increase" in the number of H-1B visas being held up, a coalition of American employers representing top IT companies like Google, Facebook and Microsoft has said and alleged that the US immigration agency was "acting outside" of its own regulations. The H-1B visa, popular among Indian IT companies and professionals, is a non-immigrant visa that allows US companies to employ foreign workers in speciality occupations that require theoretical or technical expertise. The technology companies depend on it to hire tens of thousands of employees each year from countries like India and China. "We have observed three changes in H-1B adjudication practices under the current administration that seem to permeate most of the increased H-1B adjudication inconsistencies experienced by employers," Compete America said in a letter to the Secretary of Homeland Security Kirstjen Nielsen and Director of the United States Citizenship and Immigration Services (USCIS) Francis Cissna. Expressing concerns over legal issues regarding the recent changes in adjudication standards for H-1B non-immigrant visa petitions at USCIS, the coalition -- Compete America -- said the agency's current approach to H-1B adjudications cannot be anticipated by either the statutory or regulatory text. This leaves employers with a disruptive lack of clarity about the agency's practices, procedures, and policies. This lack of certainty and consistency wreaks havoc among the nation's employers which are hiring high-skilled Americans and foreign-born professionals, it said in the letter dated November 1. Compete America alleged that the USCIS appears to be "acting outside of its own regulations and the controlling statute" by requiring petitioners to comply with the agency's current view that a comparatively entry-level job, and corresponding wage level, cannot be a specialty occupation. The specific field of study requirement for a specialty occupation means the job must necessitate completion of a single major or qualifying degree, and the requirement for an occupation to usually carry a degree prerequisite means a degree must always be needed. In its letter, Compete America said that its members have reported "dramatic increases in the issuance of Requests for Evidence (RFEs) and denials regarding H-1B petitions for the last 18 months". More recently they are experiencing a sharp increase in the issuance of Notices of Intent to Deny (NOIDs) and Notices of Intent to Revoke (NOIRs) concerning H-1B petitions. The H-1B visa has an annual numerical limit cap of 65,000 visas each fiscal year as mandated by the Congress. The first 20,000 petitions filed on behalf of beneficiaries with a US master's degree or higher are exempt from the cap. As an H-1B non-immigrant, the applicant may be admitted for a period of up to three years. The time period may be extended, but generally cannot go beyond a total of six years. "These reported shifts in agency action have been perplexing to our coalition's members, especially because the agency's changes in approach were unannounced and unexplained and are not previewed in the regulations governing a qualifying H-1B specialty occupation that have been in effect since 1991," Compete America said. According to Compete America, the USCIS has been denying H-1B petitions exclusively because an entry-level wage is applicable for the specific position, even though the occupation itself is clearly a specialty occupation. "Nothing in the statute or regulations contemplates or suggests, much less states, that the USCIS could ever take the position that it per se excludes or disfavours entry-level jobs in an occupation, or young professionals working in jobs in an occupation, as qualifying for H-1B specialty occupation approval," it asserted. Further, employers have reported repeated instances of the USCIS denying an H-1B petition on the basis that the degree held by the sponsored foreign professional is not within a single field of acceptable study for an occupation. Employers are also reporting repeated instances of the USCIS denying H-1B petitions for occupations that may have some limited instances of jobs where a bachelor's degree or higher is not required, even when those occupations normally do require that level of education for the majority of roles, as contemplated by the statute, Compete America said.